While many associations and chambers take a siesta during the traditional vacation months of July and August, NMBio board members and I have been active hosting summer luncheon events, organizing fall events, including our second annual Knowledge Fair & Expo, as well as a special half-day educational program on NM’s bioscience sector for elected officials and economic development professionals on November 15. The event, which will be held in Albuquerque, will feature national as well as local speakers who will focus on industry trends as well as bioscience bills that will be introduced in NM’s 2019 legislative session as well as in Congress. We’re also recruiting speakers from other states on what catalysts stimulated the rapid growth of their bioscience sectors. One of my major activities this summer has focused on recruiting Strategic Partners and Consultants that will provide you with a diverse and important array of scientific and business products and exceptional services at competitive and/or discounted prices. These products and services supplement the offerings that you currently receive from the BIO Business Solutions program We’ll release profiles on the first round of Strategic Partner recruits in mid-August and Consultants in mid-September. Because our July program on crowdfunding was a smash hit with our 50-plus attendees, I researched several of the major national players in this field and selected Wefunder to be one of NMBio’s Strategic Partners. Why Wefunder? It set a national record for online fund raising when it garnered $1 million in two days for Santa Fe-based Meow Wolf. It also has a track record in raising funds for several bioscience startups as well as for established firms in the health care, medical device and biosciences. 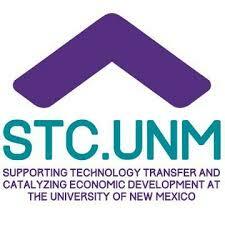 On Thursday, August 16, we will feature one of New Mexico’s most successful bioscience entrepreneurs, Terry Dunlay. Terry, the Founder and former CEO and President of Intellicyt, will provide a history of the company from inception to exit, including details on its acquisition by Germany-based Sartorius AG. Intellicyt created an intelligent cytometry platform that specializes in delivering tools and solutions to answer fundamental and complex biological questions through both suspension-cell-based and bead-based analyses. Our second annual Knowledge Fair & Expo will be held October 29 at CNM’s Training Center at I-25 and Alameda. We’ll begin disclosing more details on this must attend event after Labor Day. In the meantime, please contact me if you have time to help market the event, recruit speakers and/or sponsors. In closing, I want to call your attention to a mandatory summer read. While it won’t win a Pulitzer or make the NY Times bestseller list, it clearly shows the tremendous impact of the bioscience industry on the national economy as well as its impact in individual states. As members of NMBio and as ambassadors for the bioscience community, please take the time to share these findings with your contacts in the business community, with elected officials and with chambers of commerce and other association executives that you are active with. We have a great story to tell, so let’s tell it. A study released by BIO shows that the U.S. bioscience industry has reached $2 trillion in annual economic impact while maintaining accelerated venture capital investment and job growth numbers. Among U.S. technology sectors, the bioscience industry has held a leading position as an economic driver and job generator. The report, Investment, Innovation and Job Creation in a Growing U.S. Bioscience Industry 2018, finds U.S. bioscience firms directly employ 1.74 million people, a figure that includes more than 273,000 high-paying jobs created since 2001. The average annual wage for a U.S. bioscience worker reached $98,961 in 2016. These earnings are more than $45,000 greater, on average, than the overall U.S. private sector wage. The report further shows that since 2014, the bioscience industry has grown by 4.4 percent with four of its five major sub-sectors contributing to this overall job gain. “This report highlights the enormous economic impact delivered by our industry. 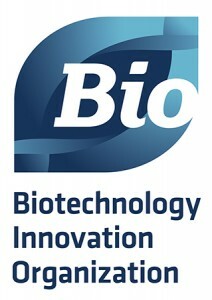 This strong performance is due to the vital and wide-ranging collaborations between industry partners, universities, and policymakers that provides a business climate that supports the development of innovative bioscience products and high paying jobs,” said Jim Greenwood, President and CEO of the Biotechnology Innovation Organization. New Mexico’s bioscience industry grew by 3.6 percent between 2014 and in 2016; it employed more than 7,200 while operating 248 business establishments across the state. The recent industry employment growth was driven by job gains in medical device manufacturing and in drugs and pharmaceuticals. The state’s largest industry sub-sector research, testing and medical labs has a specialized employment concentration. NIH funding to New Mexican research institutions has risen to $100 million in FY 2017. Venture capital investments in bioscience-related companies has also been rising. For those of us involved in the biosciences, we know that 2017 and 2018 are shaping up as rapid growth years with the major expansion at AMRI and the growth of Viome, Pebble Labs, Southwest Labs, Ultra Health and promising prospects for firms such as Agilvax and Avisa Pharma. Startup School is a free, 10-week, online course. It’s designed for any startup founder who would like to get help through the earliest, most difficult challenges of starting a company. The course will begin on August 27, 2018 and applications are now open at StartupSchool.org. The deadline to apply is August 13. 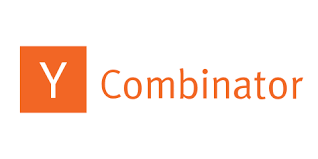 For the first time ever, Y Combinator is going to give $10,000 in equity-free funding to 100 of the most promising companies that join and complete the course. Those companies will also receive a video interview with a YC partner later in the year for advice or aid in applying to a future YC funding. Stripe will be giving startups discounted payment processing and an invitation to Stripe Atlas to incorporate and open a company bank account. In addition, startups will receive over $50,000 in credits to a variety of other services, Digital Ocean, Amazon Web Services, and Clerky. Startup School is designed for any startup founder who would like to get help through the earliest, most difficult challenges of starting a company. Founders may choose to join the Startup School community and meet with an advisor on a weekly basis, or to simply follow along with the course by watching the lectures and materials. In both cases, the class is completely free. Startup School lectures will be delivered live in Mountain View, California at Y Combinator’s headquarters and then made available for viewing online. The speakers will include YC co-founder Paul Graham, YC Partners like President Sam Altman and CEO Michael Seibel, as well as notable founders from the startup community. Last year, over 13,000 companies applied to participate in Startup School, and 95 YC alumni volunteered their time to advise over 2,800 of those companies participating across 141 countries. Throughout the 10 weeks, Y Combinator watches founders build products, talk to users, create local communities, and launch their companies. 1,587 (56%) of the companies completed the course, and, since then, 38 of them have been accepted to the core Y Combinator program and received YC funding. The materials from this year’s Startup School, like those from previous years, will remain online after the course finishes as a permanent resource for all startup founders. There are a growing number of new vehicles to raise money, such as AngelList, Kickstarter, and Wefunder. These crowdfunding sites can be used to launch a product, run a pre-sales campaign, or find venture funding. In exceptional cases, founders have used these sites as their dominant fundraising source, or as clear evidence of demand. They usually are used to fill in rounds that are largely complete or, at times, to reanimate a round that is having difficulty getting off the ground. The ecosystem around investing is changing rapidly, but when and how to use these new sources of funds will usually be determined by your success raising through more traditional means. The life science industry continues to fuel breakthrough discoveries that are having profound impacts around the globe. In addition to improving health, securing a more sustainable food supply and promoting cleaner energy, the life science sector is an economic driver, accounting for 1.73 million jobs in 85,000 companies, according to 2016 statistics. 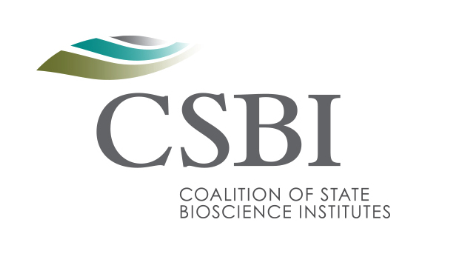 Building on the success of its three prior workforce trends reports, the Coalition of State Bioscience Institutes’ (CSBI’s) 2018 Workforce Trends Report provides insights into some of the most pressing talent needs of the life science industry, as well as a few key trends that are driving talent acquisition. The report cites actions that industry and academic partners can take to help ensure that employers are recruiting the best employees, sustaining growth and maintaining the nation’s competitive advantage in the life sciences. For the first time, more than 20 NMBio member companies participated in the survey. In addition, David Joseph from Avisa Pharma, Steve Buelow from the NM Consortium and Jan Hickey from the VA Division of Consolidated Laboratory Services, provided me the opportunity to interview them in depth for the national survey. SAVSU Technologies, the leading developer of smart, precision biologic shipping containers and cloud-based cold chain management SaaS solutions, announced this week that the USPTO has issued a notice of allowance of patent number 10,018,614 B2, titled “ iologic Stability, Delivery Logistics and Administration of Time and/or Temperature Sensitive Biologic Based Materials”. The inventors are Bruce McCormick, President of Albuquerque-based SAVSU Technologies, and Mike Rice, CEO of BioLife Solutions (NASDAQ:BLFS). SAVSU has been granted 3 patents and has 6 other pending patent applications related to novel innovations incorporated into current, or to be incorporated into future, precision thermal shipping containers under the evo brand, including models that precisely maintain biologic payload temperature stability across the entire shipping continuum including -196°C using liquid nitrogen dry vapor shippers, -80°C using dry ice, and 2° – 8°C and controlled room temperature (CRT) using conditioned phase change insulating materials. These patent applications also include claims related to the evo.is Cold Chain Software as a Service (SaaS) live cell visibility platform. The BIO Investor Forum assembles a select group of early- and late-stage companies, established and emerging public biotechs, and top public and private equity investors to explore investment trends and opportunities in life sciences. Now a staple at the Investor Forum, the 17th annual event will once again feature a series of Discovery Track presentations. A pricing level has been created for “pre-emerging” biotech companies wishing to participate in the BIO Investor Form. The presentations will focus on Seed and A-round companies incorporated after 2012 that have raised less than $25M total through October 2018. Companies in this track are also first-time presenters at this event and use biotechnology or related technologies for research and development of drug products or diagnostics. The typical audience for all presentations features public and private equity investors, research analysts, investment bankers and industry executives. This venture summit will bring together over 600 Venture Capitalists, Corporate VCs, Angel Investors, Investment Bankers and CEOs of venture backed, emerging and early stage companies. It will feature more than 50 VCs on interactive panels; presentations from more than 50 Top Innovators and high-level networking opportunities. NMBio members are entitled to a 10% discount on top of early bird registration discounts. Here is dedicated event site link to apply to be a presenter and to register http://bit.ly/2uuFXPD. I have a partial list of 100 VCs and the names of their firms that attended last year. Contact me to request the list. BIO is dedicated to helping members save money in order to reallocate it to their research efforts! Hear how BIO Business Solutions helped NMBio member Karthik Ramachandran of Likarda save on business essentials in this short video. Learn more. Karthik has upgraded his status to Strategic Partner and is now offering members a 5% discount on his firm’s CRO services. Humboldt Storage and Moving, a United Van Lines Agent, is BIO Business Solutions newest service provider. Humboldt is your one-stop for moving a lab, your entire company or employee relocation, across town or overseas. Humboldt provides moving, relocation and storage services, and has a strong focus on customer service. It has a unique expertise with serving the biotech industry, and offers BIO members a substantial discount — up to 65% on employee relocation programs. It provides regulatory-compliant, climate-controlled specimen relocation. For information on Humboldt’s savings and savings provided by BIO Business Solutions other service providers, including VWR, UPS, Office Depot, contact BIO’s Steven Keeler — skeeler@bio.org. He will work with you to insure that you have the opportunity to review the programs that are of interest to you. He’ll show you your potential cost savings and facilitate your registration. The webinar will be held on Wednesday, August 15 from noon to 1pm. Reserve your seat here: https://bit.ly/2n0hxu5. And if you’re unable to attend the live event, register anyway to receive an email announcement when the event recording becomes available for viewing.